Ordering business cards is easy here at RP Printers. We can print using a range of different cards for your needs, to ensure that you have a card that will show what you and your business is all about. 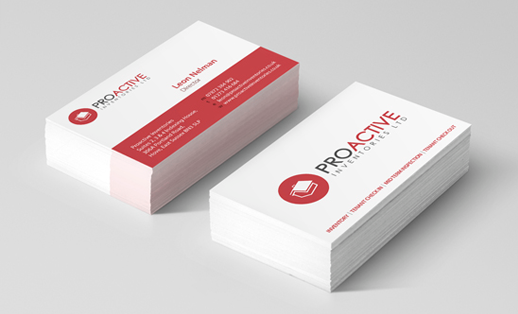 Don’t worry if you don’t have experience in designing business cards, as we can work with you to create a bespoke design which will stand out from the crowd. We have a wide range of business card products and finishes, from simple to luxurious – including gloss finishes and matte finishes.